It’s not really campervan related. Well, I suppose it is a bit. Rooobarb has been on an incredible journey over the past year, and has lost half of his bodyweight. 13 months ago we wouldn’t have been able to consider a camper – he wouldn’t have fit behind the wheel, and fitting the pair of us on a 3/4 rock and roll bed would have been a struggle. We decided we wanted to get married, and start our Adventures in a Campervan together, and Rooobarb decided he wanted to have lost 12 stone by then. Which he did. Since then, he’s continued on his fitness journey, and it’s a lot like being in a camper – it’s not the destination, but how you get there that is exciting. Please go to Nicola’s blog and read Rooobarb’s amazing story. Welcome to the first in a new blog series where I shine the spotlight on a totally inspirational “real life” person. To kick us off I’ve got a humdinger of a story. Please read, you won’t believe the stats and photos! I met Chris through his wife Kat who is a friend of mine. They both came to the NPA Finals, one of my bodybuilding competitions, last year (thanks!) and since then I have been pleased to count Chris as a friend too. 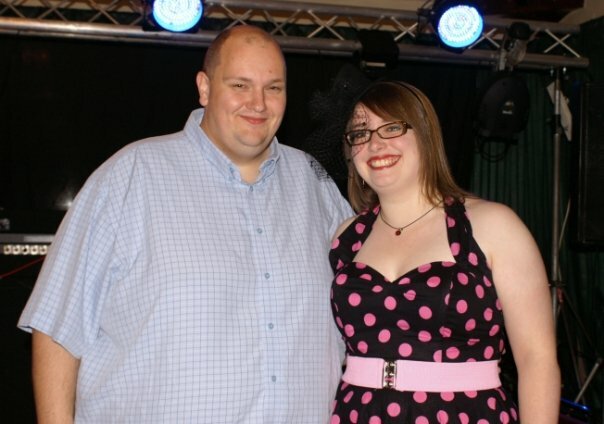 Over the last 13 months, Chris has lost 14 stone. Yes: FOURTEEN stone. 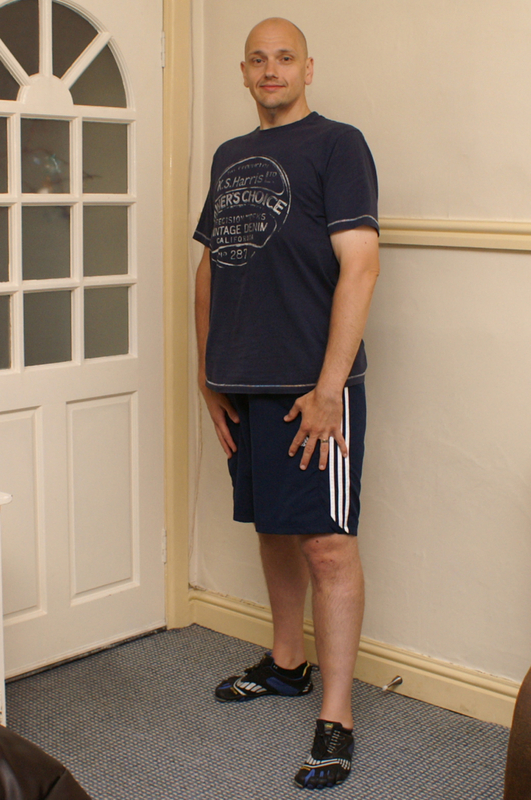 About 88kgs. Half his body weight. And he’s still going. This is not a before-and-after story. It’s a before and now, and just watch me achieve even more than I already have story. Over to Chris, and his Blackburn-based PT Liam Ainsworth. Wow what an amazing story and an inspiration. Good luck for the future and what a lovely van too.